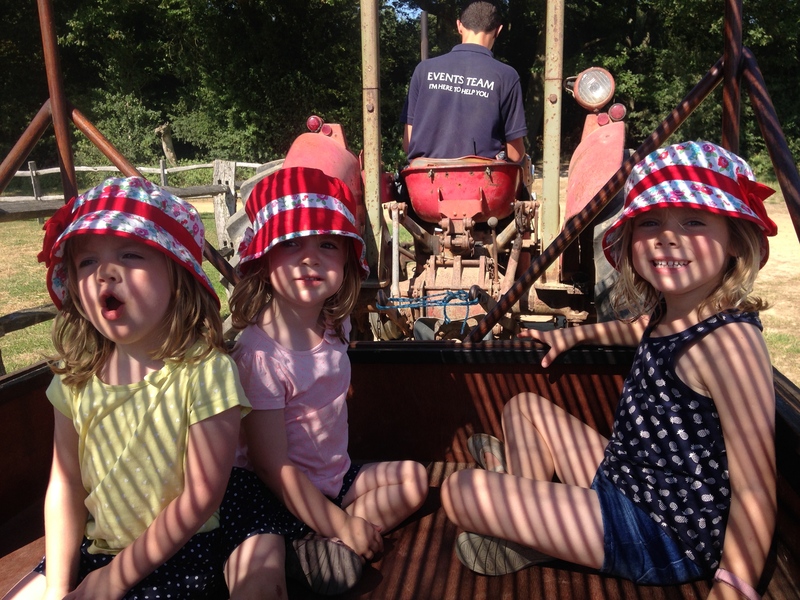 The girls loved Tulleys Puzzle Park (the summer offering from Tulleys Farm) in West Sussex so much that we made a return visit so that they could show daddy. We didn’t take a packed lunch this time, so our first stop was The Farmyard Grill, which does BBQ food and sandwiches/baguettes. I have to say the food was really good and reasonably priced. 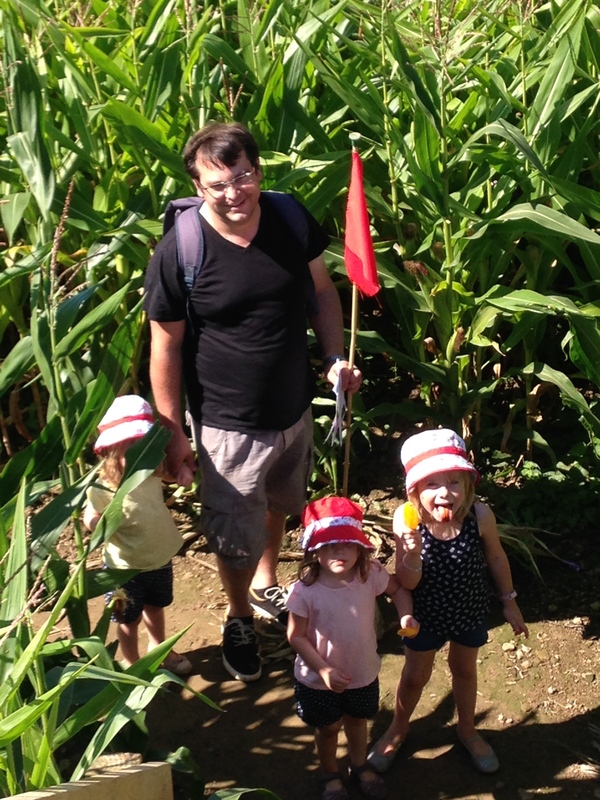 Then we headed straight into the maze. I think Matt had underestimated the scale of it. It was blisteringly hot so I guessed we wouldn’t last the two hours plus of our last visit. 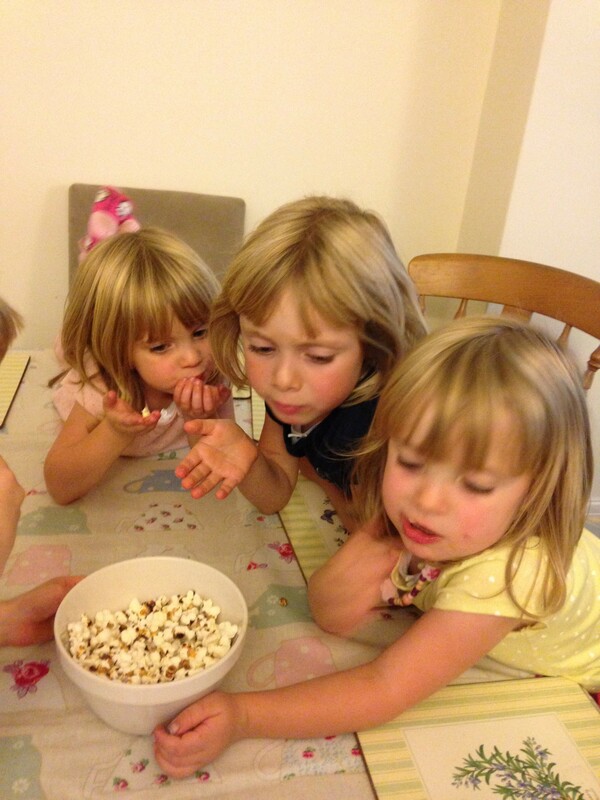 As before, the girls really loved it. After getting off to a good start by collecting several of the stamps quite quickly, we had a bit of a dry spell. 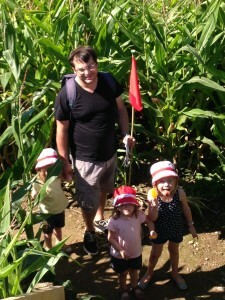 Luckily this coincided with finding the cafe within the maze. We stopped for refreshments, but unfortunately Maria got stung by a wasp. We got some emergency ice lollies to calm the situation and the guy at the kiosk gave Maria a complimentary one. She recovered well. We gave it a good go, but Matt, Maria and Gabriella were beginning to tire. Sofia and I were up for carrying on, but the others won and so, much to Sofia’s disgust, we cheated to get out. 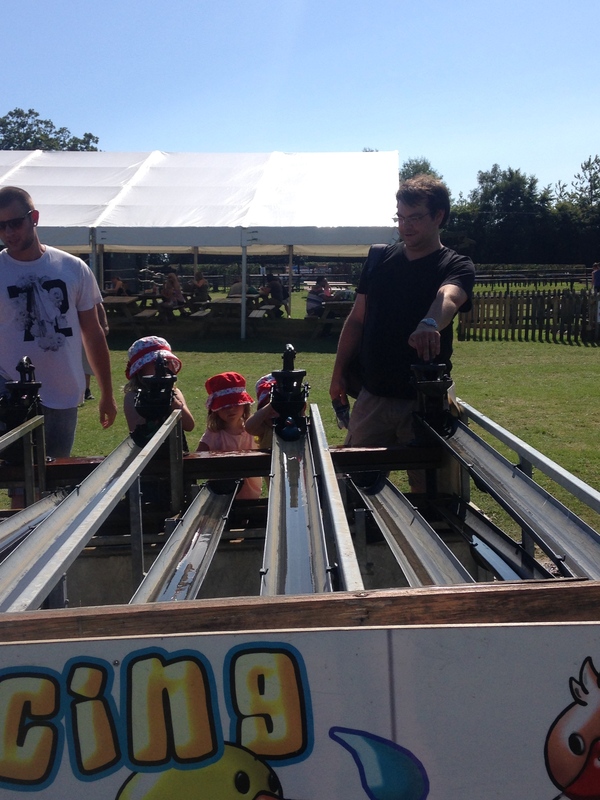 Then it was duck racing, rope mazes, the giant slide, trampolines, a family tractor ride and a go on the quad barrel train. Just as we were about to leave we bumped into my friend and her family, who live in Madrid and had just arrived in the UK for a visit. 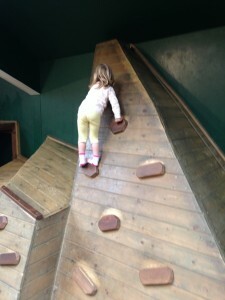 She’d been reading the blog and seen my earlier post about Tulleys so decided to visit. Quite a coincidence!! The girls thoroughly enjoyed their day and were tired out. Sofia had another Pizza Express party to go to today, which chopped the day up quite a bit, but did mean we ended up having takeaway pizzas for lunch 🙂 The girls have played pretty well on a day that saw us having to do lots of boring kitchen-related stuff, so I broke out the new High School Musical doll I had stowed away for just such a day. A proper rainy day. We have an annual pass, so we headed back to Hobbledown. It’s a farm, but also has a lot else going on. For a bad weather day like today, we were going for it’s vast indoor play area (the play barn). However, shortly after we arrived there was a break in the rain so we went straight over to The Crystalite Mine. 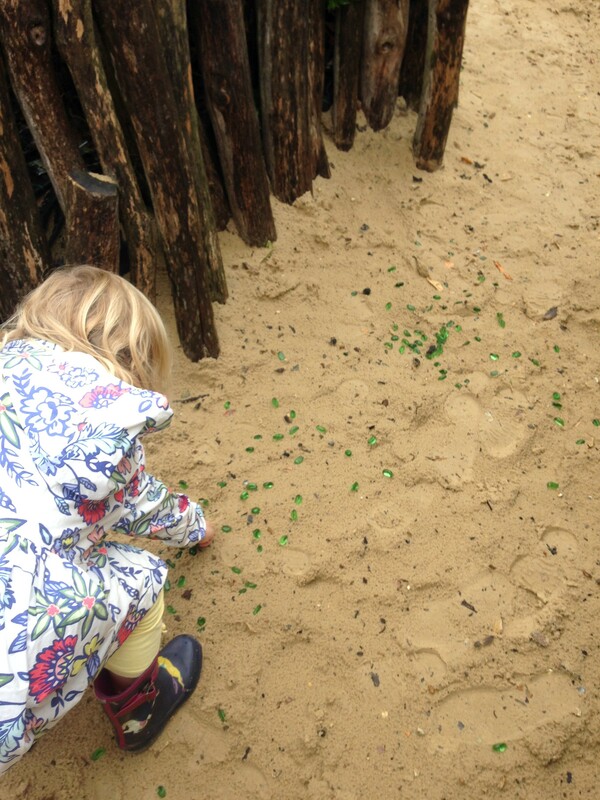 This is a giant sand pit where crystalite (green gems) are hidden. If you find enough pieces they can be exchanged for lollipops at the end of the visit. Needless to say, the girls go crazy for this. 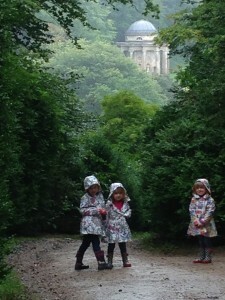 As not many people were mad enough to head over there straight after an absolute downpour, it was rich pickings. 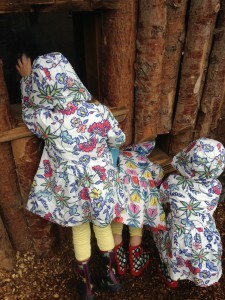 We then visited the animals, including the new wallaby enclosure. 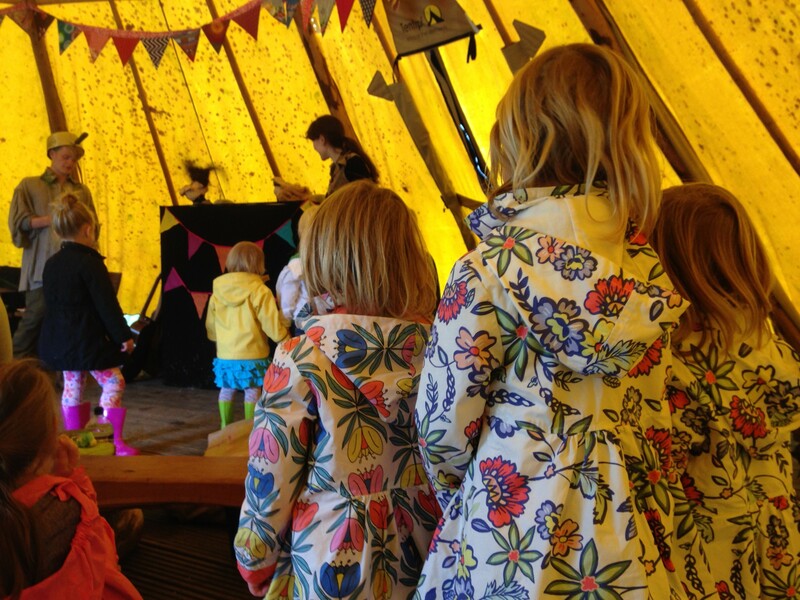 Then it was off to watch a puppet show before having lunch. After that it was several hours of indoor play. The girls actually went to bed slightly earlier than usual! 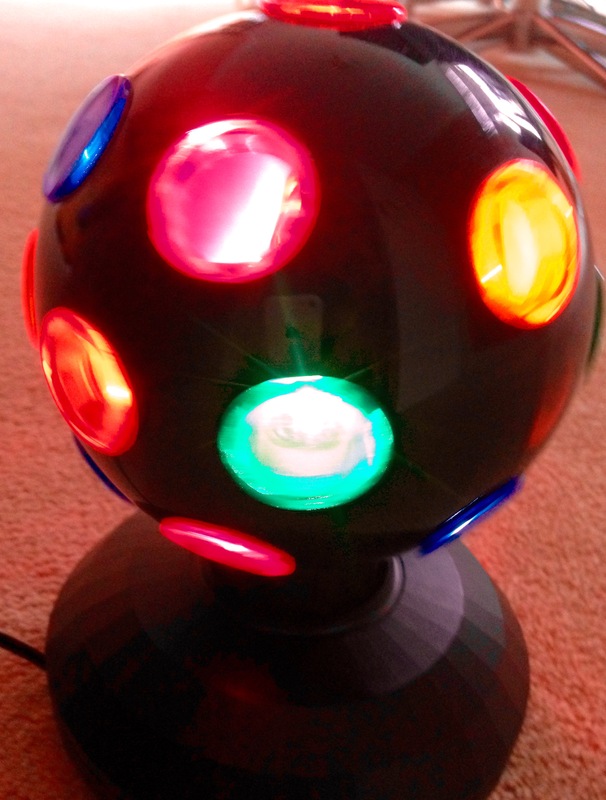 A wet miserable day, which meant indoor play and a disco with some of our favourite tunes complete with disco ball. We did venture out of the house to go to the library. 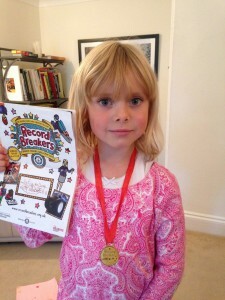 Sofia has now finished the Summer Reading Challenge and was very keen to collect her stickers and medal. She’s opted to receive her certificate back at school. All three chose new books to take home. This rain is torrential! Thankfully we’d already seen the forecast so we’d planned a cinema trip with one of Sofia’s oldest friends (from baby group) at Dorking Halls. We went to see Strange Magic. It was all about love: infatuation versus true love. The story was mainly told via song and had elves, fairy princesses, goblins, imps, magic and love potions. 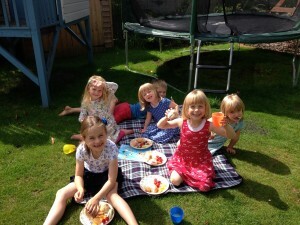 It was a big hit with our party of five girls. 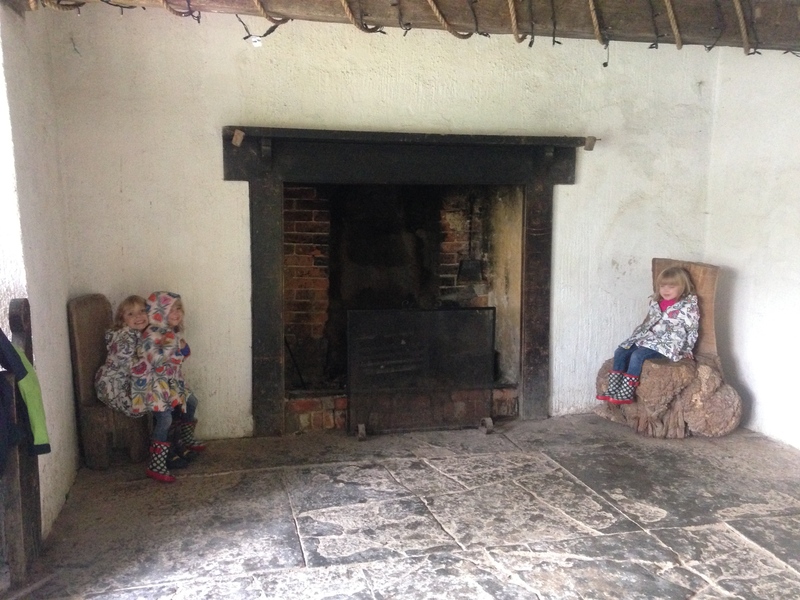 However, the adults were a little bit skeptical: two princesses who are sisters (one of whom becomes fiercely independent), power ballads and a good looking, male protagonist who turns out to be a wrong’un… hmmm familiar. Think Mr. Lucas let it go a bit. Then it was off to Côte for a late lunch. They have a very nice childrens’ menu, but the lack of colouring activities (and I’m not saying that I have anything against places that don’t provide activities; they are restaurants and not playgroups after all) meant the kids, who had behaved wonderfully for the duration of the film, were a little restless when waiting for their food to arrive. However, it was all good when it did arrive and mine were already asking when we could do it again as we were leaving. We had a meet up with some of the children that are going to be in Sofia’s new class when she goes back (her school mixes up the classes each year). 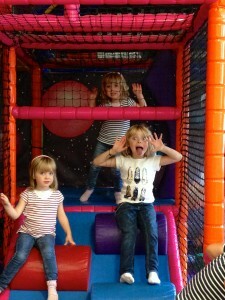 We went to Jupiter Jos in Ewell. 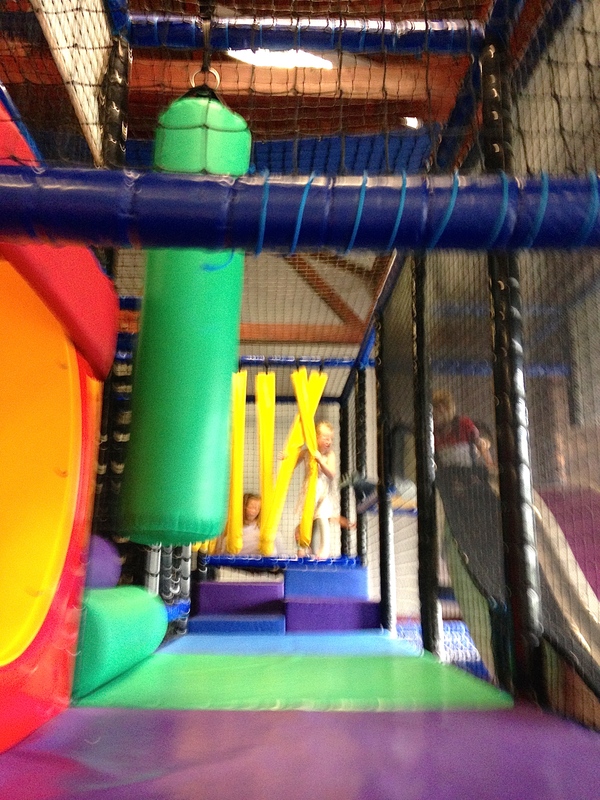 It’s a soft play centre on two levels, but it’s fairly small scale. 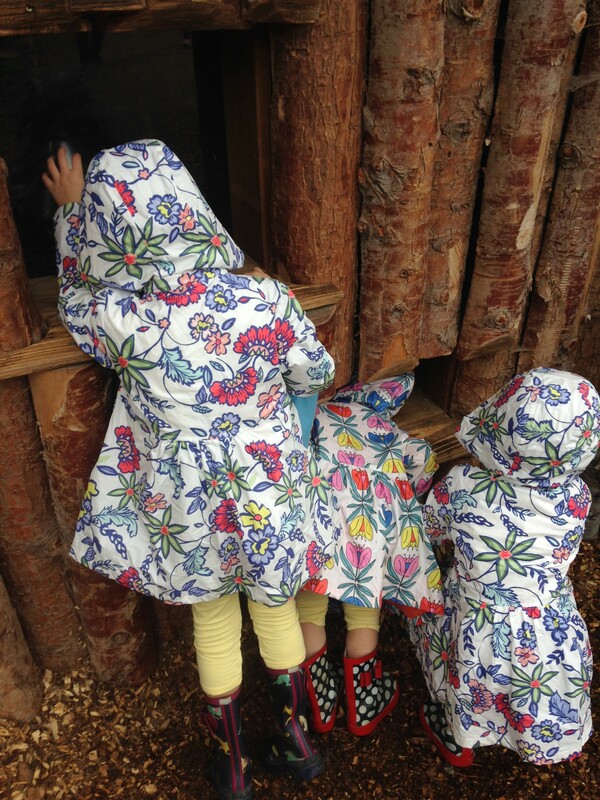 The kids really love it there as there’s some really good apparatus and the mums love it even more as it’s really easy to keep tabs on where all the children are. 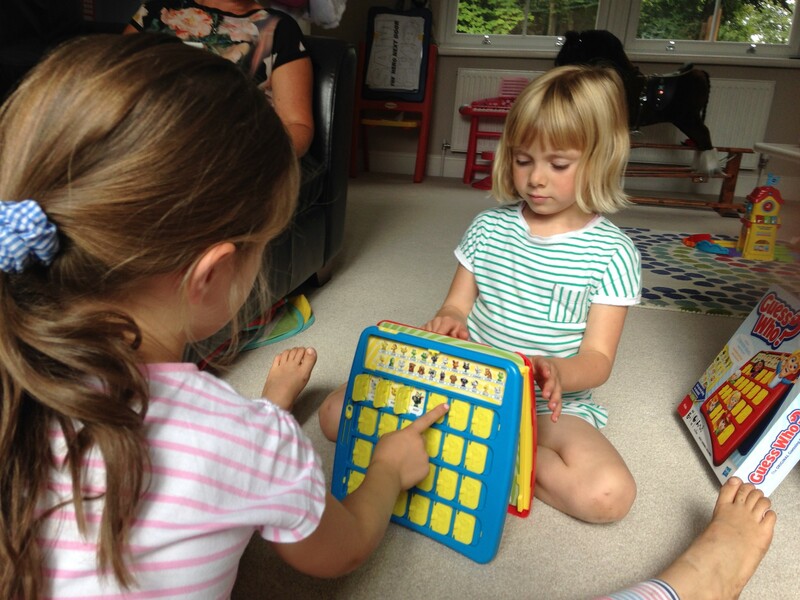 Some soft plays are vast and it can be really difficult to spot your children, let alone get to them if they need you for any reason. It is one of the few soft play venues I can actually relax a bit and – dare I say it – have a cup of coffee. In the evening we had some friends over, who also have three girls. Carnage! Pre- back-to-school haircut in the morning for Sofia. Then we went for lunch and playdate with two of her oldest and closest nursery friends. It was a lovely day, and so great to see that they all had such affection for each other despite not seeing each other that often. Maria and Gabriella also had a fab time. 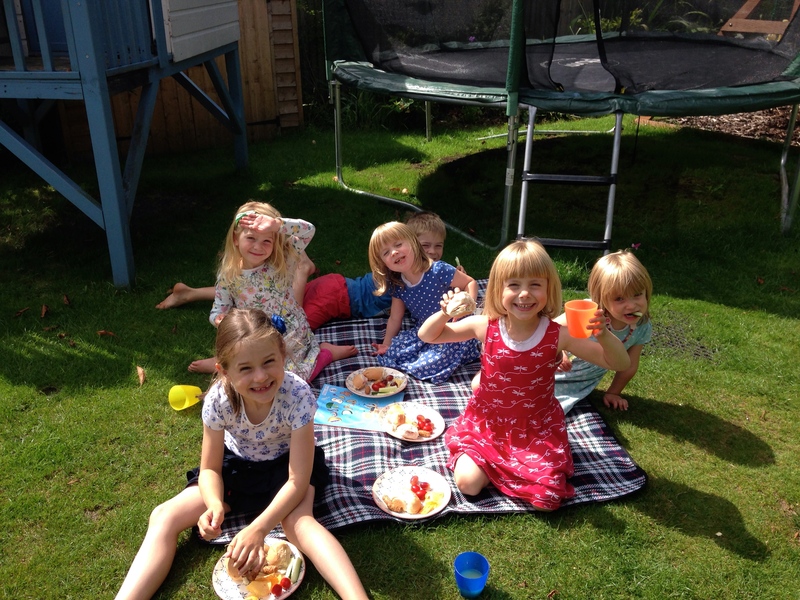 Picnic lunch and plenty of play: perfect. 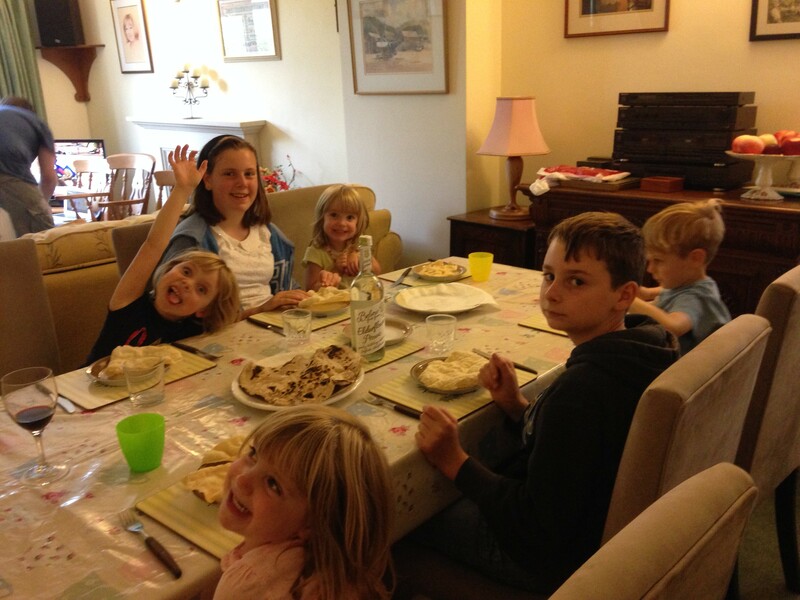 We travelled to Wiltshire for the bank holiday weekend as we were celebrating two family birthdays on the Monday. We had lots of family time playing cards and games and Matt cooked up two wonderful curries. We had proper dessert, but I’d also bought some pop corn kernels and the kids and I made it up in the pan. To say it was a hit was an understatement! 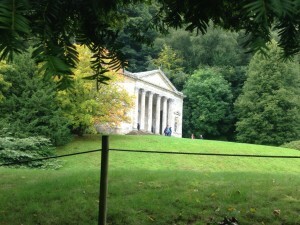 The Stourhead estate is 1,072 hectares and includes farmland, temples, grottoes, lakes, a huge number of rare and exotic trees, a gothic cottage and the stable yard, which had shops, a gallery and a pub. We were there for some hours but only covered a small part of it. 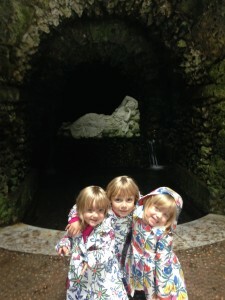 The girls particularly liked the grottoes. I’d love to go back and explore some more (especially when it isn’t raining!). Then we went back to a high tea prepared by Matt’s dad: sandwiches, scones with jam and clotted cream and cake. Lovely!! Today was a big family day with a double birthday celebration. Lots of lovely food and good company. Last day of the holidays, and today we had a meet up with Sofia’s old reception class and headed out to Kent’s Swanley Park, which is billed as a traditional town park set in 60 acres of landscaped parkland. 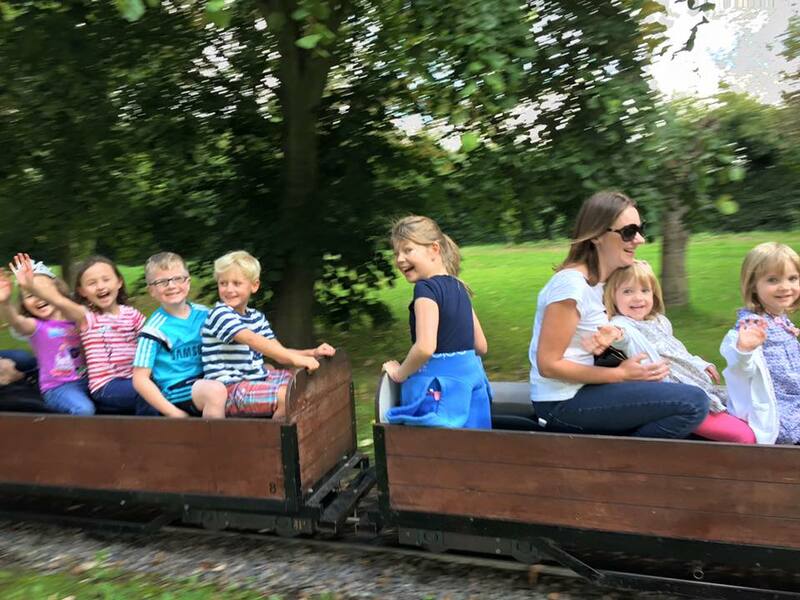 We parked up (it costs £2 to park at weekends and during school holidays) and got the miniature public railway into the park, which the children all loved, as did I if I’m being honest. The weather was decidedly iffy; sunny and warm one minute and raining and chilly the next, so we had a big job preventing them going into the paddling pool and splash park, although there were plenty of other children in there. The girls headed straight over to the bouncy castle, which was £1.20 per child, but didn’t go on the battery-powered bikes as Maria and Gabby were too little. We then spent some time in the small children’s play area and sandpit before grabbing some lunch. We’d had a busy morning doing a dummy school run as we’re currently living at my dad’s whilst our kitchen is being done, so I didn’t have chance to make a packed lunch. Therefore we hit the cafeteria, which is really old school (not in a bad way). It didn’t have the healthiest of food options, but they were plentiful and VERY child friendly if you know what I mean. Next it was off to the main play area, which has really nice apparatus. 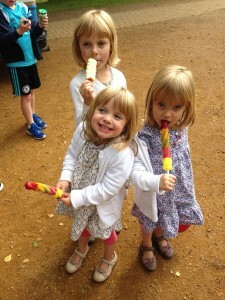 We spent quite a lot of time there an then it was time for ice creams and ice lollies. 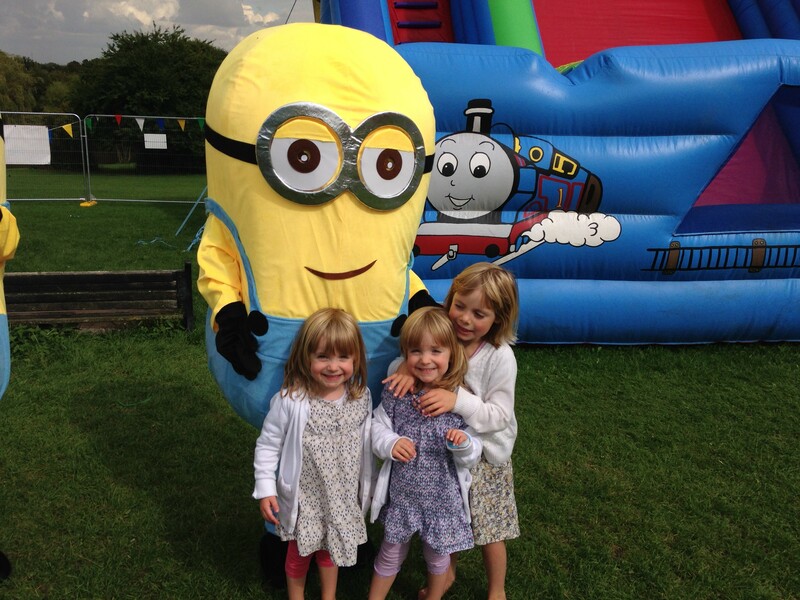 The children then spotted the ‘fun fair’, which was actually a collection of bouncy castles and inflatables. 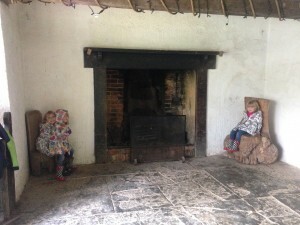 It was £7 per child for entrance, but as we were a big group they reduced to £5. Still, £15 for my three on top of everything else was a little steep and a few activities within the section needed additional payment and Maria and Gabby weren’t tall enough for the best inflatable (the huge slide). 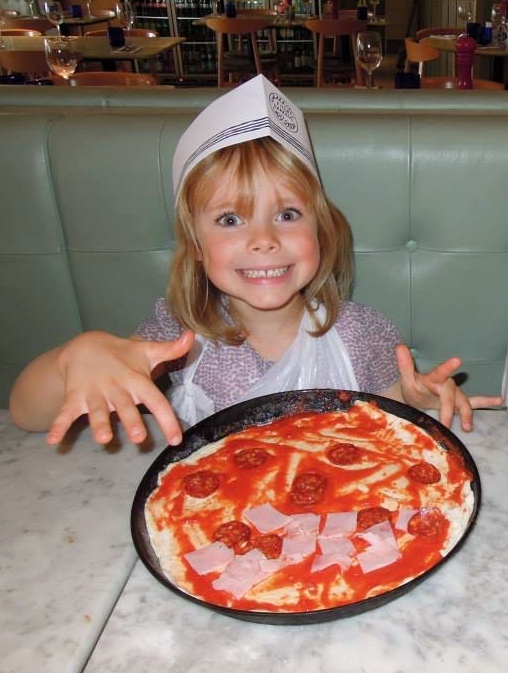 I wasn’t overly impressed but the kids really enjoyed it. 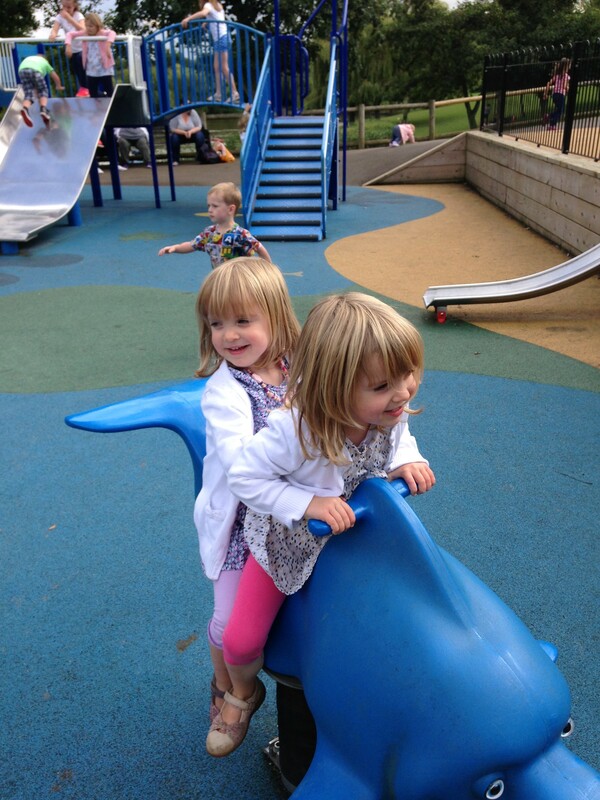 The park also boasts a big boating lake with pedal and rowing boats and canoes. 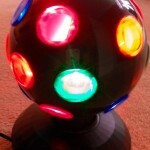 We’d all really have loved to go on, but time was pressing and if I’m honest we’d spent quite a bit of money. I wish we’d had done more walking around the park itself as opposed to just going to a number of different attractions, but that’s what the children wanted to do and they had a really brilliant last day of holidays. So, goodbye summer holidays and hello labelled uniform and school bag and new shiny shoes by the front door. The summer holidays have seen 34 ice creams, 42 ice lollies, 45 bickerings, 11 arguments, 11 tantrums and visits to London, Surrey, Kent, Wiltshire, West Sussex, Somerset, Devon and Cornwall.